During the recently concluded draft of Pakistan Super League (PSL) season four, all six franchises picked up their best possible squads. But some key names remained unsold after the conclusion of the draft in Islamabad. Let’s take a look at the best unsold XI of the league ahead of the next edition. The left-handed Pakistan opening batsman has a healthy average of 40.61 and eight half-centuries in the shortest format of the game and could have been a safe bet at the top of the order. He gives the team more stability and can play the anchor’s role with great effect. Who can forget Khan’s brilliant 55-run knock against Lahore Qalandars during the inaugural edition. The right-handed batsman from Quetta — who has a vast experience in this format — has the ability to get the team off to a brisk start through the aggressive nature of his batting. Brendon McCullum needs no introduction. He is an absolute legend of New Zealand and modern day cricket. He is the only Blackcaps cricketer ever to lead his side to a World Cup final that is why without any hesitation he would be a good choice to lead the side. Nasim is a promising young cricketer of Pakistan. Although he may not have the explosive hitting range as compared to other T20 players but his patient attitude and solid technique can add solidity to the middle-order. Emerging cricketers are the future of Pakistan cricket and sadly only 12 of them — two each by six franchises — were picked in the PSL draft. I have picked Nazir as one of the emerging players in the side — the wicketkeeper of U19 Pakistan team. The 17-year-old won’t have much experience under his belt but has the potential to succeed at the highest of level. Judging by his form and style of play, Aussie Chris Lynn can be very handy with the bat at number six. His ability to hit massive sixes is a deadly weapon if utilised properly. He is not the type of batsman who anchors the innings as he is a power hitter and can bat either in the top order or play as a finisher. 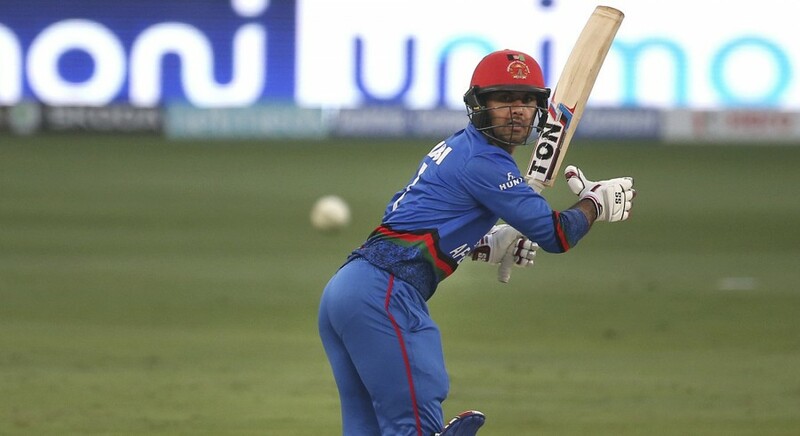 Nabi is one of the most sought-after Afghanistan player in T20 leagues across the globe. The all-rounder is an automatic choice due to his track record in shortest format of the game. His availability could be one of the reasons he is not playing in the PSL, however, I’m still going to persist with him in the side. Bhatti had made a solid impact in international cricket when he toured South Africa under Misbahul Haq's captaincy, in 2013. His recent performances in domestic cricket may not have impressed the selectors but he would be a handy player in my playing XI. The left-arm pacer’s record in domestic cricket speaks for itself and he would ideally fit the role of a front-line seamer in the side. He has got a good variety and can trouble the batsman, both, with the new ball and at the back end of the innings. Watching Adil bowl in the third edition of the league was an unforgettable experience. Although, his numbers are not that great, but his high-arm action reminds me of Mohammad Ifran and the icing on the cake is his pace. Generating pace on UAE pitches is not an easy thing to do which is why he would add another dimension to the side. Tahir has been one of the top performers for South Africa and a match winner on his day. The Lahore-born has vast experience of T20 cricket with 274 T20 wickets and his first year in the PSL earned him a place in the all-star team as well. Although he was left out by the Sixth Team without any reason but I think he will be a great asset to this team.